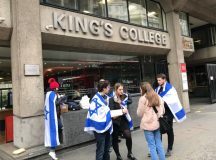 In July 2018, an opinion piece in the Jewish Chronicle identified ‘fundamental questions which must now be urgently asked’ in light of what it termed the ‘potentially seismic change’ indicated by recent developments within the Anglo-Jewish community and its relationship to Israel. The Fathom editors believe there is a place for the journal to provide a platform to some of the voices in this debate to express their views. In this context, Fathom invited Mick Davis, Rabbi Laura Janner-Klausner, Dr Keith Kahn-Harris, Dr Toby Greene, Robin Moss, Simon Gordon, Tamara Berens, Jonathan Hunter, Hannah Weisfeld and Maya Ilany to share their opinions. Download the full symposium here. 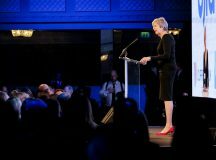 Fathom Journal: The Jewish Chronicle (JC) posed the question ‘what exactly is the centre ground for British Jews on Israel now?’ How would you answer that question? Keith Kahn-Harris: I’m not sure it makes sense to talk of a ‘centre ground’ in a diverse community. Are we talking about the centre ground amongst non-Orthodox Jews, modern orthodox Jews, progressive Jews, secular Jews, Haredi Jews, or any of the other segments of British Jewry? It is certainly possible though to speak of majorities and minorities, some of which pertain across British Jewry and others that pertain to a segment of it. Opinion surveys over the last few decades appear to show a large majority in favour of the principle of Israel being a Jewish state at the very least. 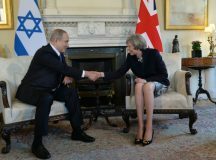 Beyond that, the majority of British Jews appear to be cautiously supportive of the principle of a two-state solution, to not always be happy about the decisions of the Israeli government, but certainly supportive of Israel in the most basic sense. It is possible that the size of these majorities may have shifted somewhat very recently, but really, whether they have or have not is not what is significant. In fact, measuring the attitudes towards Israel amongst British Jews may tell us less than we might think. One of the key transformations that the internet and social media have wrought is to ‘flatten’ the distinction between majorities and minorities. Now that everyone has a platform, it is almost impossible to marginalise and render certain Jews and their opinions inconsequential. In this context, we are no longer in a situation where a ‘centre ground,’ should it even exist, can exercise any sort of hegemony (assuming you would wish that, and I personally would not). Instead we have a cacophony of voices, where all compete to be heard and assert their legitimacy, but where none can fully dominate. That some of these voices may be from relatively small proportions of British Jewry is true, but not really relevant. What matters is analysing the claims they make, on whose behalf they speak and who is persuaded by them. 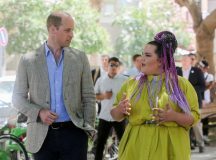 FJ: What kinds and forms of criticism of / engagement by British Jews with Israel and Israeli policy and practice do you consider acceptable / most effective, and which are unacceptable / least effective? KK-H: Attempts to draw ‘red lines’ over what kind of criticism and engagement with Israel are acceptable are, these days at least, rarely successful. As I have said, I don’t think marginalisation can really work anymore, regardless of whether you believe it necessary or not. Of course, individual institutions and communal spaces can and do exclude, but there is always another platform available and, if not, someone will create it. My own feeling is that Jewish communities – and, in fact, most political spaces – should be as pluralist as possible and that the process of pluralism should be a painful one: if it doesn’t make you grind your teeth in frustration to have to tolerate the presence of ‘those people’ (whoever they are) then you’re not doing it right. I would ideally like an engagement with British Jews and Israel that includes everything from the Israeli pro-settlement right to the anti-Zionist Diaspora left. I do understand though, that I am very much a minority in holding that view. Maybe I like the pains of pluralism too much. That isn’t to say however that I don’t think some people are unacceptable and cannot be assimilated into most pluralist conversations. It’s just I don’t define unacceptability primarily by the views people hold. Much more important to me is how views are expressed. There are certain people across the spectrum who abuse, who cannot relate to others who disagree with them and make any kind of conversation unbearable. They exist across the spectrum, although they congregate disproportionally on the harder right and left. The point is though that such people cannot be identified by their views alone and can only be rendered unacceptable as individuals, not as representatives of a particular viewpoint. The question of effectiveness is related to this. Angry, abusive people rarely convince anyone. It’s in everyone’s best interests to try and develop modes of communication with others that maintain the possibility of relationship building and the changes which can flow from this. In this sense, my definition of acceptability is the same as my definition of effectiveness. All that said, things are complicated. One could argue that Kaddish for Gaza caused immense hurt to the point that it should be defined as unacceptable under my framework. Yet it’s important to somehow make space for the expression of anguish – which Kaddish for Gaza was – and for provocation and challenge. So how can that circle be squared? Here it’s important to distinguish between the hurt caused by direct attacks and abusiveness towards others and the hurt caused by the existence of people, viewpoints and ways of expressing them that are so shocking as to be unbearable to others. For some, Kaddish for Gaza fell into the second category, but it never fell into the first. People may have to live with unacceptable views and actions; no one should have to live with abuse. Still, Kaddish for Gaza was certainly not effective in any simple way. Whether or not one agrees with the action (and I’m keeping my opinions on this private), it is hard to pin down how it might have helped the situation other than providing an outlet for feelings and, perhaps, a limited sense among some Palestinians that they were being supported. Of course, that judgement could be applied to many kinds of Israel-Palestine-related activity across the spectrum and, indeed, to many forms of campaigning. The effectiveness of most political activity is extremely difficult to pin down beyond the realms of government and diplomacy. 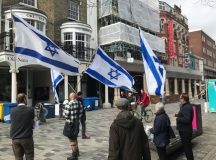 FJ: What responsibilities do British Jews have – if any – to not give a tail wind to those who would demonise Israel, and how should they avoid doing so in practice? KK-H: It’s important to interrogate what ‘demonising Israel’ might mean. It is often used as a euphemism for the harshest forms of criticism and for almost any kind of anti-Zionism. As someone who is an implacable opponent of the direction Israel is currently on and even (and here I may lose some readers) has time for some criticisms of Zionism, I obviously do not see myself as a demoniser. I’d argue however, that similar to my argument about pluralism, it’s a good idea for any of us to develop those muscles which allow us to hear political criticism as political criticism, rather than live in fear of the demonic. Just because you’re hurting, doesn’t necessary mean you’re being demonised. Having said all that, I think there are some extremely disturbing tendencies within the pro-Palestinian movement that amount to something more than simply vociferous campaigning. Too often Israel isn’t simply an oppressor, it is the oppressor; Israeli violence isn’t simply violence, it is the bloodiest violence imaginable; the Palestinian cause is not a cause but the cause. Some of this stems from the need to get their voice out in a world crowded with causes and campaigns (others do it too – look at how animal rights campaigners behave). But it also leads inevitably to antisemitism – if Palestine is the cause, then Jews inevitably become the villains. Sections, at least, of the Jewish anti-Zionist left have failed to resist or even stoked these tendencies. 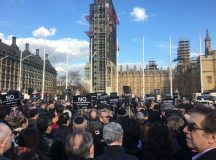 It is ridiculous though, to argue – as some pro-Israel campaigners have – that liberal-left groups like Yachad and the New Israel Fund are complicit in this ‘demonisation’ process. The contempt in which much of the pro-Palestinian movement holds the Jewish liberal-left knows no bounds. Ironically though, there is a case for arguing that some forms of pro-Israel activity have fuelled the tendencies I have described. It isn’t just supporters of Palestine who see the conflict as the conflict, advocates for Israel often do the same, particularly on the right. They are also implicated in raising the stakes so that the conflict between Israelis and Palestinians is not just a case of nasty regional violence (perpetrated by Israelis or Palestinians according to taste) but a war between good and evil whose victory or loss will reverberate far beyond the region itself. Stopping this process is a task for anyone who cares about Israelis or Palestinians or both. It helps no one. How to do it though? How do you fight for a cause while simultaneously insisting that it should be seen as one cause amongst others? This is not an easy thing to do given the generally hysterical mode of contemporary public discourse. A place to start might be to focus on the everyday lives of Israelis and/or Palestinians themselves, on seeing them as people and not as heroes/villains. The projects that I respect the most across the spectrum of opinion of Israel/Palestine are those that work on the ground on things that make a difference. 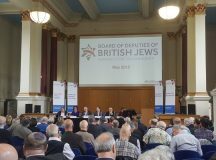 FJ: To what extent do you agree with the assertion that there is a ‘potentially seismic change’ in the way that British Jewry discusses and feels about Israel? KK-H: I would agree with that assertion, but I think that such change may not go in one direction and is likely to have multiple drivers. I have argued for some years that Diaspora Jewish communities, while increasingly divided over Israel, manage to keep the resulting conflict just about manageable through the ‘ambiguity’ of Israel. Until such time that Israel irrevocably fixes its borders, its constitution and its ‘final’ form, multiple different visions of what Israel should be are still (barely) in play. It is still possible to fight for a liberal Zionist future based on a two-state solution, just as it is possible to fight for the expansion and/or annexation of the occupied territories. But we are reaching decision time and I myself believe that the chances of liberal Zionism remaining a realisable vision are now extremely unlikely. When Israel turns its back on ambiguity (or if, like me, one feels that it may already have done so) then a decision will have to be made by those whose vision has ‘lost’. There will probably be a range of approaches: swallowing doubts and remaining a supporter, focusing on sources of hope (however unlikely) or maybe asserting the principle of Zionism while rejecting what Zionism became. Certainly this latter strategy seems to be gaining ground amongst some younger Jewish activists. Yet there are also countervailing tendencies. There is no doubt that antisemitism in Corbyn’s Labour Party has caused anguish even amongst many on the Jewish left. To even believe that Zionism was once a viable idea is to be alienated from a rising political force and to face abuse from the anti-Zionist Left. That may lead to a feeling that even if today’s Israel is antithetical to one’s beliefs, it still offers a sanctuary that may be needed at some point (particularly once escape routes to the EU are cut off). It may also be that Corbyn’s Labour Party is driving or will drive Jews into the arms of the right. 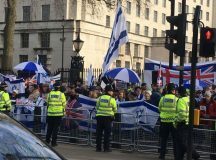 That may mean a concomitant rise in support for the Israeli right amongst British Jews. While active support for the settlement enterprise has been fairly limited in the UK historically, that could well change. 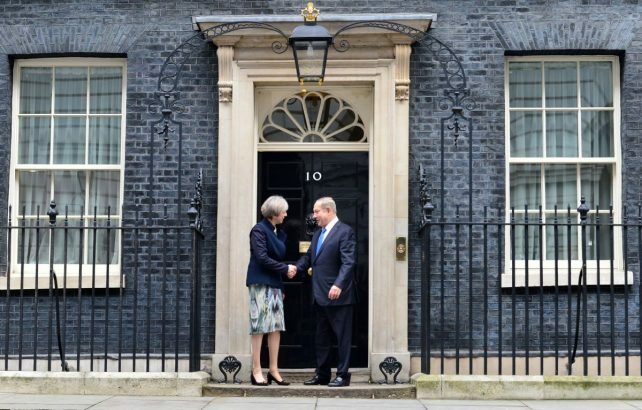 So yes we might well be on the cusp of seismic changes in the relationship between British Jews and Israel, but its result is likely to be as confusing and conflictual as the present.